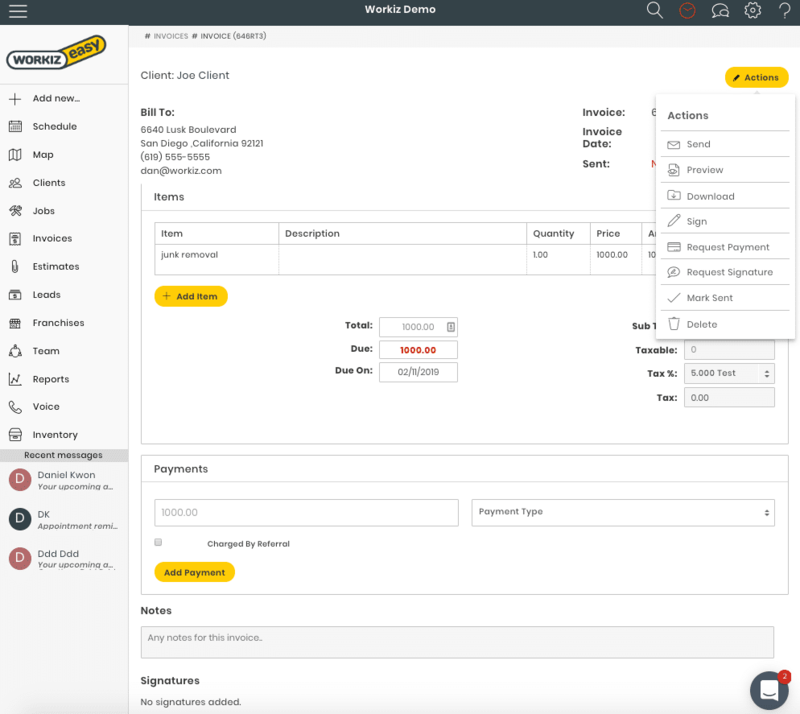 Workiz’s service invoicing features allow you to get paid faster than ever before. You can send a payment request for an invoice by email or SMS, right from your mobile device and have your clients pay online in seconds. No need to wait for that check in the mail! Simply click the Actions button, request payment and send. 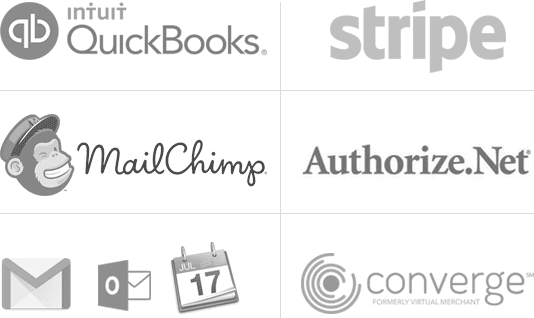 The client receives a secure link to their invoice, viewable on any mobile device. On top are the requests made for this invoice for payment or signatures. Now you can provide fast service and receive fast payments. 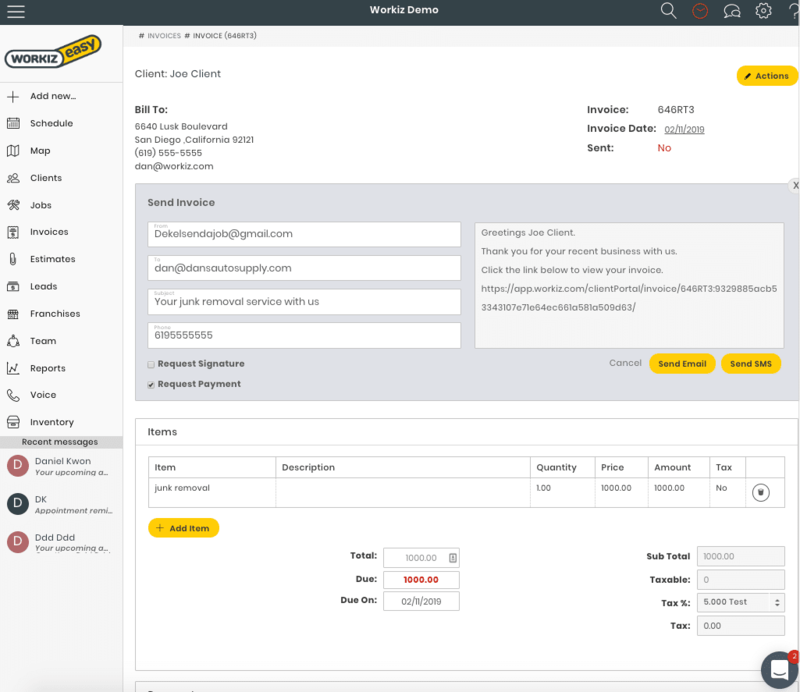 You can send invoices and estimates to your clients in seconds via SMS or email. 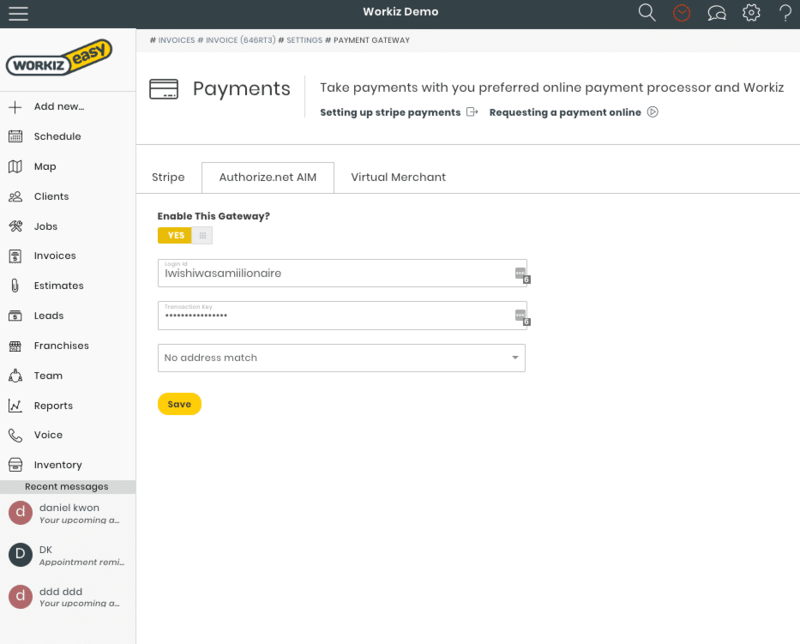 Workiz lets you take payments with Authorize.net, Stripe and Virtual merchant. You can set it up in seconds and start taking credit card payments online.